And again, since Sundays are busy with Eclectica authors, a short summary of the More Portals authors who answered my 6Questions. Check also this guest post on Library of Erana. Ladies and Gentlemen, from More Portals Debbie Mumford and Lana Ayers! 1. What is it about portals that draws you to it? Fantasy is my genre of choice, and one of the elements of fantasy that has always fascinated me is thresholds. Whether it’s a threshold of light (dusk and dawn – the thresholds between day and night, light and dark), or of place (I’m particularly drawn to beaches – that place where it’s not quite land, not quite ocean), or that magical witching hour: midnight (is it today or tomorrow … or neither?). Thresholds are magical, and a portal, well it’s definitely a threshold and in some ways, the highest form of magic! After all, a portal can transport you from here to … well, that’s the question, isn’t it? My story (Beneath and Beyond) is a science fantasy about two scientists who discover an ancient door buried far beneath the polar icecap. When their team manages to open it, the scientists discover the unbelievable. “Beneath and Beyond” was written in response to a challenge from my writing group: write a story that combines science and fantasy. Voilà! “Beneath and Beyond” was born! 4. Do you always write about portals? If not, what do you write about? I write about all sorts of things! From dragon-shifter fantasy romance to space opera to time-travel romance to historical fiction, if an idea pops into my brain, I embrace it and write. I write for general adult audiences as myself (Debbie Mumford), but I also write for kids and teens as Deb Logan — by channeling my inner child! I’m a wife and mother … and grandmother! I’m an only child with five older brothers (really! My brothers ranged from nine to eighteen when I was born), and I’m a mother of twins. Family is very important to me and figures prominently in my writing. I love dogs, am fond of cats, and have been known to befriend dragons … Chinese Water Dragons to be specific! I love to hear from readers! I hope you’ll visit my website (debbiemumford.com) and consider subscribing to one or both of my newsletters. Both Debbie and Deb give new subscribers FREE stories for joining their lists! Ever since childhood, when I felt alien and other, waiting for my true non-earthling people to come and collect me somehow, I’ve been drawn to the idea of portals. Portals are escape hatches from mundane experience into the extraordinary. My story “Sideways” is about a woman a little too focused on the past to see what is right in front of her. On an ordinary workday, her experience in a portal, forces her to shift perspective. The portal in “Sideways” was inspired by a dream I had where things immediately went awry. In the purest sense, all stories are portals to new experiences. But time travel is my favorite kind of portal to read and write about. Writing poetry, which for me is a portal to the inner emotional realm, is another of my vices. Growing up in a one-tv household with an older brother who controlled what we watched is how I became a Fantasy & Sci Fi geek. My brother gifted me the universe and beyond, and for that, I am forever grateful. Putting on my publishing hat, I put some order in my book links on Books2Read and added Vampires Through the Centuries to Draft2Digital – excluding the retailers that I already distribute to via Smashwords – so there might be duplicate links for those. I used to put them only on Smashwords because of the assetless-preorder thingy, but since the next in the series won’t have pre-order buttons anyway and I reach more places with D2D, I decided to make the move (there’s even GooglePlay in D2D’s future, hence the addition). I also added the library distribution on most of my books via Draft2Digital (after ticking off whatever was left on Smashwords, but most of my SW books don’t have an ISBN, so they didn’t go to libraries) and I had a surprise of 21 sales to Overdrive last Saturday. Never sold anything to libraries while I was on Smashwords and first month via Draft2Digital, using their nifty auto-pricing tool, and… well, I left some money on the table, I guess, but I’m making up for it, LOL! My audiobook is also more listened to in libraries than elsewhere… and on April 30 two more should go live. I still have trouble finding the direct links, so stay tuned… and I’ll have coupons for US, CA and AU for the other two as well, in case you’d like to listen and review. If you follow the publisher’s page, you might have noticed a new tab, Infinite Bard. I’m not supposed to share any link yet, but stay tuned for a series of free short reads from various awesome authors including yours truly! So get ready to visit the inn/pub called the Infinite Bard (aka, the Chain Story Hub) and be introduced to authors you might otherwise not have found and find free fiction from an assembly of outstanding authors. My story (A Walk with Georgia) is about what happens when a young woman takes her dog for a walk (what could be more mundane?) and discovers a tear in the space/time continuum. “A Walk with Georgia” was written in response to a call for portal fantasy stories, and while it wasn’t selected for the anthology it was written for, I discovered that it filled a need in my soul. The canine main character is a bull mastiff named Georgia, and while the rest of the story is total fiction, Georgia was real. Georgia was my dog, and a more loyal companion has never walked the earth. Unfortunately, after far too few years in our family, she developed a massive, inoperable tumor, and we were forced to put her down. I was still mourning her loss when I sat down to write this story, and suddenly, my brave, loyal dog was staring at me from the words that appeared on my computer screen. The dog in this story is very much a tribute to my gentle giant … and writing this portal fantasy helped me heal. I love to hear from readers! I hope you’ll visit my website (http://debbiemumford.com/) and consider subscribing to one or both of my newsletters. Both Debbie and Deb give new subscribers FREE stories for joining their lists! Reading fiction is escapism. Stories pull us out of our own lives and project us into something else that can somehow or other only be imagined. A portal represents the quintessential moment of the escape; it’s a defined transformation from wherever you are to something unknown. It’s an inherent promise of adventure. It’s about a father and son who discover a unique and amazing way to grow closer through their experiences with a portal in their backyard. They are also connected in deeply emotional ways to the lives they find in the other universe, but ultimately the story is about their new bond. Portal stories seem to me to lend themselves to a frequent theme of some discovery by young people that the grownups don’t or can’t believe. I wanted to flip that. In “The Earthbloods of Carapet,” it’s the father who has the wild imagination and initially can’t get his son to believe him. It was fun to explore that angle. I’ve been writing since I was a child, was utterly enthralled with Edgar Allan Poe, and had a horror serial, “The Growth of Doom,” running in the monthly grade-school newspaper. (Poe remains my favorite author to this day, some … multiple years later.) I’ve also been a performer for most of my life, spending various chunks of it as a professional actor and musician. About ten years ago I got back to putting a lot of focus on fiction writing, and I continue to indulge in that passion with great satisfaction. It is a source of tremendous joy for me. I’m so happy to have my story in Fantasy Portals! Thank you! I wrote my first story when I was six. But I started writing short stories seriously on April 15, 2014, and I wrote the first word of my first novel on October 19 of the same year. Yet today, I have over 40 novels published as well as almost 200 short stories and all the attendant collections. My first 10-book saga was a western, but today I write mostly thrillers, action-adventure and mysteries. So SF as well. To put out as many novels as I can in my remaining years. To achieve it, I show up (almost) every day and write. I love telling stories. There’s literally (and I don’t mean virtually) nothing I would rather do. Heinlein’s Rules (get a free copy at http://harveystanbrough.com/wp-content/uploads/2018/12/Heinleins-Business-Habits-Annotated-2.pdf). And the second one is to trust your subconscious. Your subconscious has been telling stories since before you knew any alphabet even existed. So trust your subconscious and let the characters tell you their story. That’s another one. The characters are living the story, so let them tell it. My job is to run through the story with them, trying to keep up, and writing down what they say and do. Nope. I don’t control everything. (grin) It’s all I can do to control my own life. It’s the characters’ story, so I let them tell it. I wouldn’t dream of telling my neighbors how to live their story, so why would I do that to my characters? I have a short story collection in the Eclectica bundle — F, S & H — which stands for Fantasy, Science (Fantasy or Fiction) and Horror. The stories are weird and they all fall into one or more of those categories. 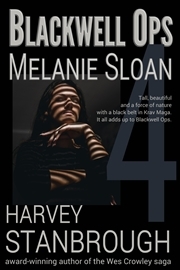 Ah, my latest book as I respond to this interview is Blackwell Ops 4: Melanie Sloan. It’s currently up for pre-order at all ebook vendors and is set to release on April 15. I’m currently working on Blackwell Ops 5: Georgette Talbot. It will release on May 1. So Blackwell Ops (crime/thriller) is my current series. I released the first one on February 15, and I’ve released another book every two weeks since (including one from another series). Other than to write more titles in Blackwell Ops, I have a sneaking suspicion three of my BO characters (all female) are going to take off in their own series. I expect that will happen in the next month or two. 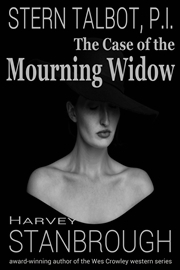 When I have time, I keep my short story, collection, and novel covers and descriptions current on my website . Thanks for the opportunity to do this interview. I appreciate it. I wrote my first portal story for the now closed Crossed Genres magazine. The second for the Anthology Workshop, and the third and fourth as an exercise for an online workshop on writing fantasy. Two of those stories have become novellas with life of their own, but the other two wanted company. Besides my own stories, I mean. And I know plenty of talented writers, hence I did some direct requests and a closed call. But now, more on mine. The two novellas are Yash and Ryo, Lost in the Milky Way and of course much talked about Otherside! 😉 The story I wrote for the workshop is The Portal, included in Fantasy Portals, and I wrote The Avalon Pub for the online workshop Writing Fantasy (as I did with the opening of Otherside). I might do another audiobook with either Yash&Ryo or maybe Mumbai Dreams… Not ready for novel-length yet, sorry. And no earlier than six months, since the first three drained me of energy and stole too much of my writing time! 😉 Have a great weekend! Last week I wrote less than 7K but I was still busy with the anthologies and approving the second audiobook – which might be shorter than the first, but it still took two hours out of my writing afternoons one day and another half hour the next day to check the corrections. So, Otherside audiobook is obviously live, and The Hooded Man will soon follow. Unfortunately I can’t give coupons to the people I wanted to give to, since none of them are either in the US, Canada or Australia (one is in the UK, one in Italy and one in India, at least for The Hooded Man), so… I’ll decide later, when I’ve written this week’s 10K, LOL! In case you don’t follow the publisher’s page, there are a few books at 99c99p out now, in case you want to give this author a try. And there are the pre-order buttons for the anthologies. All this publishing stuff is stealing time from writing (although I’ll be fair, a lot of time is stolen by Bubble Witch Saga 3 too, maybe I should take it off the writing netbook and keep it only on the smartphone, but it’s sooo addictive, damn it!) but I’m still hoping to get back into the routine today. The Lone Wolves Team is out in the galaxy fixing stuff, and bonds and relationships between members are blossoming. I already made the covers for the stories that will start to come out next month and I have chosen the images for the covers of the Legends of the Moren Empire even though I’ve written only Volume 1 so far (coming soon! ), but I want all three to have the same feel. I think the Star Minds Lone Wolves will keep me busy for at least a month, if not until the end of May, then I can go back to Silvery Earth. I have written 40+ strips for Silvery Earth Kids, but now I need to color and letter them… Now I better get back to those missions, the Lone Wolves Team has to save the universe – not! 🙂 Have a great week!